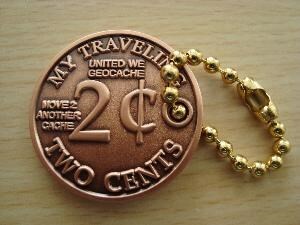 (TB2MQ4P) My Traveling 2 Cents Geocoin - Todie's Wild Ride: M.A.D.D. In the hands of dlars102. Use TB2MQ4P to reference this item. 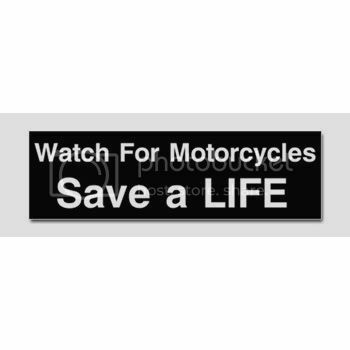 This mission of this coin is to raise awareness for motorcycles sharing the road with other vehicles and to help educate riders about the need to stand up for their beliefs and to help organizations fight for their right to be safe on the streets. Motorcycles are vehicles too! Driving Under the Influence of a Cell Phone is as Dangerous as DUI Drunk Driving. The Attentional Mechanism Suggests That The Cell Phone Impaired May be Even More Dangerous to Motorcyclists. All Cell Phone Use While Driving Must Be Outlawed. This is a Declaration of War. The following are some ideas and facts about cell phone use while driving. These facts and ideas were written by Ray Henke of M.A.D.D. 1. Cell Phone Impaired Drivers Are a Menace on Our Streets, They are At Least As Impaired and Dangerous As DUI Drunk Drivers, And Significantly More Likely to Cause Accidents. 2. Cell Phone Impaired Drivers May Pose An Even Greater Danger To Motorcyclists Than Has Been Discovered To Be The Risk To Motorists Generally. This is Demonstrated (1) By the “Pre-Cell-Phone-Age” Statistics Which Demonstrated that Motorcyclists Are Disproportionately At Risk Resulting from Inattentive Auto Drivers; (2) By The Evidence That Motorcycle Intersection and Right of Way Violation Accidents In Particular Are the Result of Auto Driver “Inattentional Blindness” to Motorcyclists; and (3) By the Distinct Mechanism of Cell Phone Attentional Impairment Which Combined With Auto Driver “Inattentional Blindness” to Motorcycles Suggests the Likelihood of Additive or Synergistic Auto Driver Attentional Impairment Specific For Motorcyclists. 3. The Use of Cell Phones While Driving Should Be Outlawed. And No Distinction Should be Made Between Handheld and Hands-Free Cell Phone Use. 4. Additional Important Reasons to Ban Cell Phone Use While Driving Include Their Substantial Contribution to Traffic Congestion, and Effect to Increase the Length of Driver Commutes for All Drivers. These Facts Also Undermine The Argument that the Use of Cell Phones While Driving is Essential or Contributes to our Economy. 5. Additional Strategies to Curtail the Use Cell Phones While Driving. Lawsuits to Hold Cell Phone Impaired Drivers Liable For the Injuries and Deaths Resulting From Their “Driving Under the Influence of Their Cell Phones”; Lawsuits to Hold Employers Liable For Injuries/Death Resulting from Employee Business Use of Phones While Driving; And, Lawsuits to Hold the Cell Phone Industry Liable For the Injuries and Death Resulting From Their Public Misinformation Campaigns, For Their Promotion of Cell Phone Use While Riding, and For Their Failure to Warn Accurately of the Dangers of Driving Under the Influence of Cell Phone Conversation. Gallery Images related to Todie's Wild Ride: M.A.D.D. The day is almost over. Clients are all visited. Convertible mustang wanting to fly. The plane doesn't fly in to pick me up for another 3 hours. What to do? I put the top down and went for a small road trip. First official move of this coin!! !